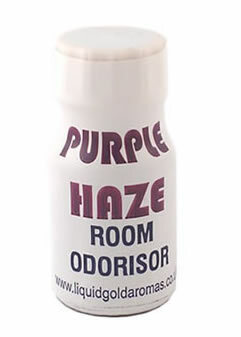 Purple Haze room odourisers. 100% pure. Does what it says on the tin (perhaps a bit more). Very good product, would buy again! A1 service with fast delivery and well packed product. Very good product best we`ve tried yet. I was happy with the goods, which arrived in one piece, and well packaged. Not as strong but still great value for money and excellent delivery speed. Awesome fast delivery :) thankyou ! !